We are thrilled to host a high school student, Roushan, over the summer through the Viterbi SHINE program. She’s working closely with Zhenzhuo on using data science methods to predict chemical behavior. Shout out to Katie Mills for making this happen! 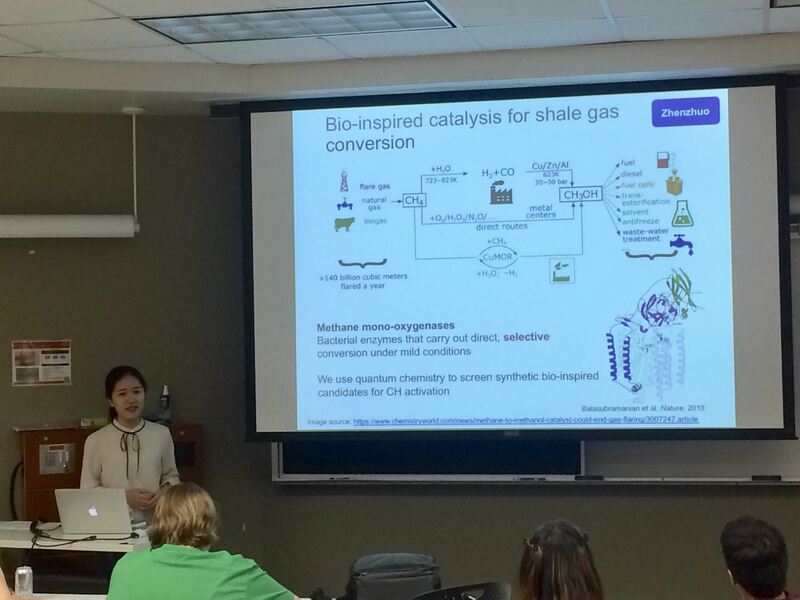 Zhenzhuo presented our work at the Research Pairing Mixer hosted by USC Society for Advancing Chicanos/Hispanics and Native Americans in Science (SACNAS) Chapter.